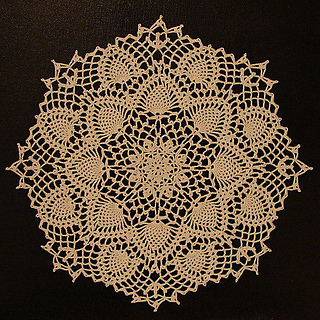 From Doilies, Star Doily Book No. 151, published by the American Thread Company. A #7 hook is called for. Approximate size in size 10 crochet cotton is 17 inches in diameter; size in a “spangled” (metallic) thread of similar weight, with the same hook, is 19 inches.